Apply moisturiser as soon as you get up - not before doing your makeup. This allows the moisturiser time to sink into the skin, not only will your makeup apply smoother but it won't slip around as much during the day. 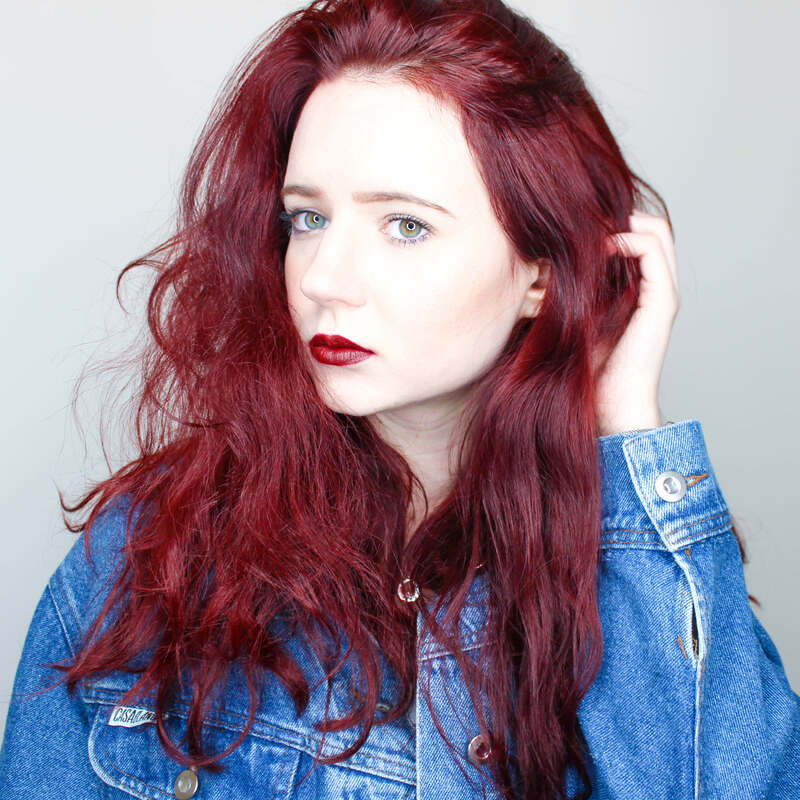 Let your hair dry naturally whilst you sleep - plait it if you need to - for beachy waves. No need to fork out on our beloved Bumble & Bumble Surf Sprays for this one! Trimming your hair yourself can save you time and money between hair appointments. Just put into a low ponytail and trim straight across, removing the split ends. Vaseline is a life saving product. Apply to hairline when dying hair or around the nails when applying polish to save endless hours of scrubbing. After applying your lipstick, blot with a tissue and hold it over the lips. Then, dust with translucent powder to avoid re-application throughout the day. Exfoliate your lips once a week to ensure every lipstick application is an even one. Use tape to help apply winged shadow or liner. Similarly, if you're working with glittery shadows with a high level of fallout, simple office labels will help catch the fall out - there's no need to spend money on Shadow Shields. Investing in makeup storage isn't just something we beauty bloggers like to do, knowing where your products are cuts getting ready in half. Whether that's in an everyday makeup bag or some acrylic drawers. Cleaning your brushes is a pain but it will make application a lot easier and leave colours my vibrant and belndable. Try out new products on a weekend or evening - that way you're not spending extra time correcting them if they go wrong, and you won't risk them running or smudging throughout the day. Using an ultra moisturising shower gel or bath milk can help you skip that all important body lotion. Perfect for when you're running late or want to catch some extra sleep. Throw out or give away unnecessary or old products - they're only going clutter everything up. And who likes going back to a product to find that it's dry or empty? Pluck your eyebrows after you get out of the shower. The steam helps open the pores and makes them easier to pluck, reducing redness. Keep spares of your holy grail products - grab them if they're on offer. This way if you run out you won't be stuck looking for something to improvise with. For me this includes cotton pads and nail varnish remover. If your hair is really dry and damaged, leave in a deep conditioner overnight and rinse out in the morning instead of waiting around in the shower. 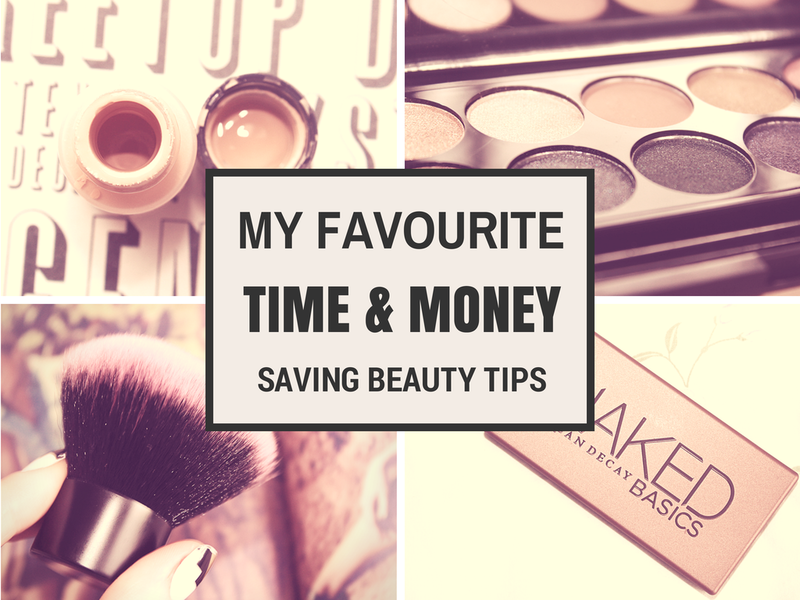 Let me know your beauty related time/money saving tips in the comments below!